EAGAN, Minn. (AP) — George Iloka had just sat down to eat with his wife when the call came from his agent. The Cincinnati Bengals were letting him go. So much for that quiet day off. So much for all that time in training camp perfecting the scheme. So much for the only NFL team he’d ever played for. “But that’s the business. That’s what we kind of signed up for. Things happen. At the end of the day, you’re just a number for the most part,” Iloka said. Fortunately for Iloka, his first defensive coordinator was interested in a reunion. The Vikings signed Iloka, a former pupil of coach Mike Zimmer, to a one-year contract on Wednesday to add yet another accomplished player to what was the best defense in the league last season. The Bengals released Iloka on Sunday to clear $5.3 million in salary cap space and make way for second-round draft pick Jessie Bates III to move into a starting role. Iloka was a fifth-round pick by the Bengals out of Boise State in 2012 and played two seasons in Zimmer’s defense before the coach was hired by the Vikings. 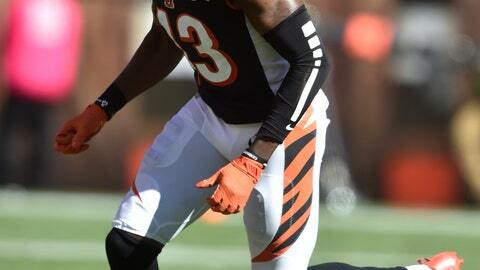 Iloka became a starter in his second year and started 76 games for the Bengals, with nine career interceptions. Credited by the team with 230 tackles over that time, Iloka is 10th on the all-time Bengals list in that category. All-Pro Harrison Smith is entrenched at one of the safety spots. Andrew Sendejo has mostly manned the other slot for the last five years, starting 53 games plus three more in the playoffs. He’ll turn 31 on Sept. 9, when the Vikings open the season against San Francisco. Naturally, there’s a question now about whether Sendejo will celebrate that birthday in a purple uniform, considering he’s carrying a $3.5 million salary cap hit. With Anthony Harris and Jayron Kearse, the Vikings have two backups who’ve been in their system for two-plus seasons and contribute significantly on special teams. That could be more than just coach speak from Zimmer, who has said previously he’d like to use more of his best players in different positions more often this year to maximize their impact. Smith, for example, could be used in a linebacker spot in certain packages. Veteran cornerback Terence Newman, who played with Iloka with the Bengals, has taken turns at safety. That’s just fine with Iloka, who was looking forward to working with the hard-driving Zimmer again.